You are here! Excellent! We are so glad that you want to discover your purpose. We have some great tools and exercises to help. Learn about how purpose can make a powerful impact on you, helping you live a more authentic, happier life. 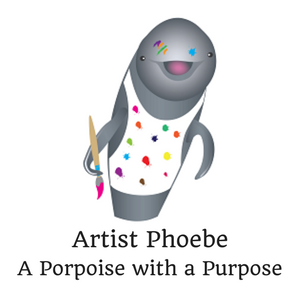 Discovering My Purpose is non-profit, which means that all tools and resources here are free. There are two main parts to the web site. The first part is watching the videos. Make sure that you watch the introduction first. This will help you get the most benefit from this process. Then watch videos 1 through 8 in order. After each video, stop and take the time to do the exercises. Discovering your purpose is a process that you will revisit again and again over the course of your life. So slow down and take your time, ok? This is the first step on a long and exciting journey. Prefer to read rather than watch? No problem. Text versions of the exercises are here. The second part of the site is to join communities focused on your purpose. Here you can talk with people who get what lights you up - because they love it too. After watching the video - what's next? Completed the survey? Add your top strengths to your profile. Did the Positive Past exercise? Share what you learned. Fantastic future created? Post so that we can hear about it! Worn your invisibility cloak? How did that go? Tell us about it. Step 5 - Be the Change Which social issues do you have passion about? Share them here. We want to hear about your purpose. Post about it here. Have you started building out your goals? Let us know about them. Get the Authentic Action template and share your plan with us. Post to the "I'm Stuck" thread so that we can help.